The co-writer of two massive Marvel movies waited over a decade to make her directorial debut, "The Slows." She recounted to IndieWire her decade-plus journey. Nicole Perlman’s filmmaking career started on a bigger scale than a lot of directors: Her first writing credit was on the screenplay for “Guardians of the Galaxy,” and she’ll have another one on the upcoming “Captain Marvel.” Even before Marvel snapped her up in 2009 for its fledgling screenwriting program, Perlman had garnered serious attention with her unproduced script “Challenger,” about the 1988 space shuttle disaster. But only now, with two blockbuster gigs behind her, has she made her directorial debut with “The Slows,” a short film making the rounds on the festival circuit. Perlman has known for almost a decade that she wanted to turn Gail Hareven’s sci-fi-tinged short story into her first directing project. The story, which imagines a future world where humans have stopped raising children the traditional way, was published in The New Yorker in May of 2009 and Perlman was an instant fan. Still, she didn’t have many expectations that she could suddenly carve out the time to make it into a film. Perlman and her compatriots, including “Black Panther” screenwriter Joe Cole and “Thor Ragnarok” screenwriter Christopher Yost, were tapped for various projects according to their interests (Perlman said she helped work on some of Dr. Jane Foster’s dialogue in “Thor,” for example) but they were all expected to work on a larger project as well. “Guardians of the Galaxy” was the first script to come out of that program, and Perlman ultimately shared screenwriting credit with director James Gunn. When nonprofit financier Cinereach reached out to Perlman in 2015 to discuss her filmmaking goals, she was surprised to find that her blockbuster history became irrelevant. A few months after that first meeting, Cinereach offered her a directing fellowship to help get the project moving. Perlman likens the fellowship, which counts alumni like Barry Jenkins and Terence Nance since its inception in 2013, to “a year of just pure inspiration.” By the time the fellowship wrapped, she was already in pre-production on “The Slows.” The intimate film was shot in Portland, Oregon over a period of days and with a tight-knit crew, and has recently started making festival rounds, with stops at Fantastic Fest and the New York Film Festival so far. In August of 2017, LeFauve left “Captain Marvel” to direct “Gigantic” for Disney. Perlman — who was already busy working on a bevy of projects, including the upcoming “Detective Pikachu” film and the Cinereach fellowship — followed her writing partner out the door. Geneva Robertson-Dworet then took over scripting duties on the project, and the final film is expected to come out with screenwriting credits for Perlman, LeFauve, Robertson-Dworet, Carly Mensch, Liz Flahive, and directors Ryan Fleck and Anna Boden. After Perlman and LeFauve left the project, Perlman took to Twitter to quell concerns that the project was in trouble. 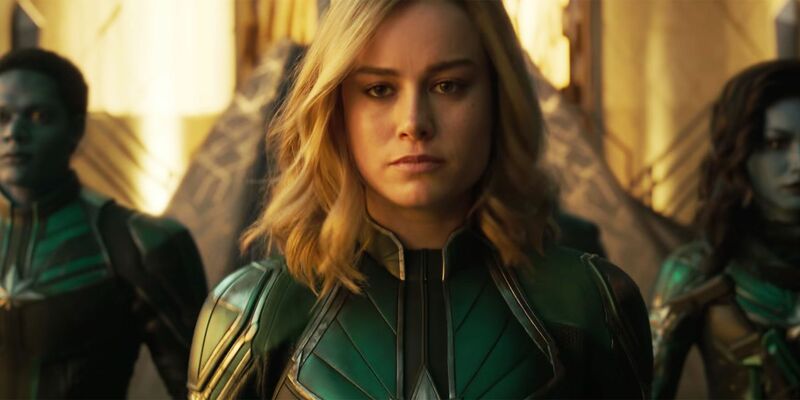 While Perlman declined to discuss the plot in detail, her intention behind the character speaks to a growing sentiment among both fans and stars (including “Guardians of the Galaxy” actress Karen Gillan) that the “strong female character” designation is no longer enough to build an entire film around. Beyond the imminent blitz of “Captain Marvel” commitments, Perlman just turned in a new pilot to Amazon for a “cyperpunk” series set in Bangkok. She’s working on an under-wraps “big sci-fi, family-friendly” film for Paramount and an even more secretive feature she deems a “gothic horror” feature. Perlman recently optioned Kate Moore’s “Radium Girls,” which she intends to adapt and direct for the big screen. She’s writing a live action adaptation of “Detective Pikachu.” And there’s always the possibility of exploring the wider world of “The Slows,” among other gestating ideas. “The Slows” screened at this year’s New York Film Festival as part of its “Genre Stories” short film selection.